Have you ever noticed that men often have beautiful, full lashes? It’s not just a cruel twist of fate – men usually treat lashes more gently than those of us who coat them with makeup and glue on the daily. Lush, full lashes are a sought after accessory, but you can get them without falsies! Lash extensions have soared in popularity in recent years. While you may seek these out looking for fuller lashes, extensions have been the culprit of more eyelashes falling out due to the extra stress on follicles. 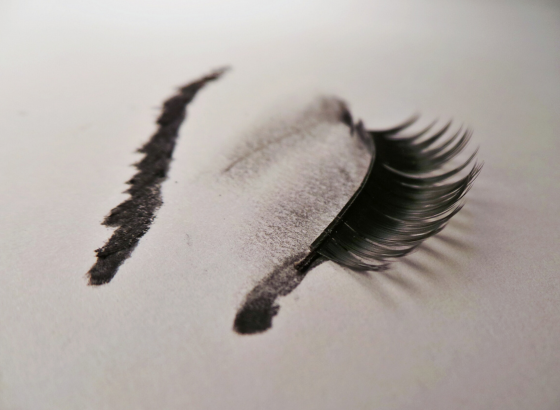 Fake eyelashes and glue can damage the delicate eyelid skin, as well as pull out individual hairs. Mascara coats your entire hair shaft and can leave your lashes very dry. This can inhibit growth by making them brittle. If you fall asleep with your eye makeup on, this gives lashes almost no time to be free of waxes and oils, and the tiny hair follicles of your lashes can get clogged. Dying lashes should be avoided at all costs! Dying lashes is illegal in many states and not only can it cause lash loss, but can damage your eye severely, even causing blindness. Avoid these four eyelash enemies to help your natural lashes grow longer and fuller! You may think now that spring’s here, you don’t need to add as much moisture to your skin. But, don’t put that humidifier away just yet! When we think of bikini weather, it’s summer’s humidity that gives skin its glowing, supple look. But, if you’re trying on your spring break bikinis and the sticky summer days seem a little far off, using a humidifier in spring can have its benefits. A humidifier instills your air with moisture, and helps maintain a more normal level of humidity. Even if you’re in a dry office throughout the day, sleeping with a humidifier on in your room will result in more supple skin, moisturized lips, and feet that don’t feel like you just walked the Sahara Desert. Beyond skin, there are numerous health benefits, like keeping nasal passages from drying out, which can help prevent nosebleeds and sinus infections. There are also small, personal sized humidifiers, so you can use one in your office area as well. If you don’t have a humidifier, a good old-fashioned pot of water on the stove or radiator will help! 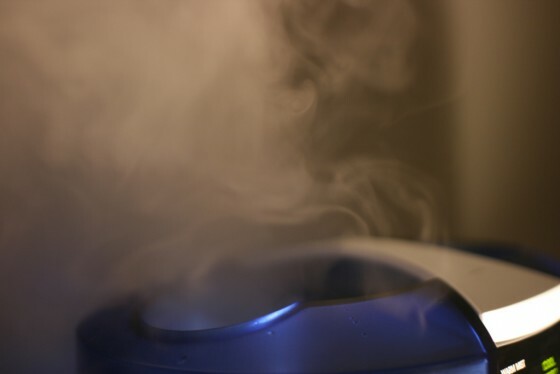 Tip: You can keep your humidifier clean by using a natural solution of equal parts white vinegar and water! For the wellbeing of your skin, sleeping in makeup is definitely something to avoid as much as possible. Every once in a while, we all have our slip ups, and at the end of a long day, we may even nod out in full pancake-face. Don’t give yourself a guilt trip when you see your smudged reflection the next morning! There are few things you can do to help your skin recover and avoid breakouts, irritation and wrinkles. Avoid rubbing off your mascara and resist picking at any breakouts that may have popped up. After you wash and tend to your face, it will look much less irritated. 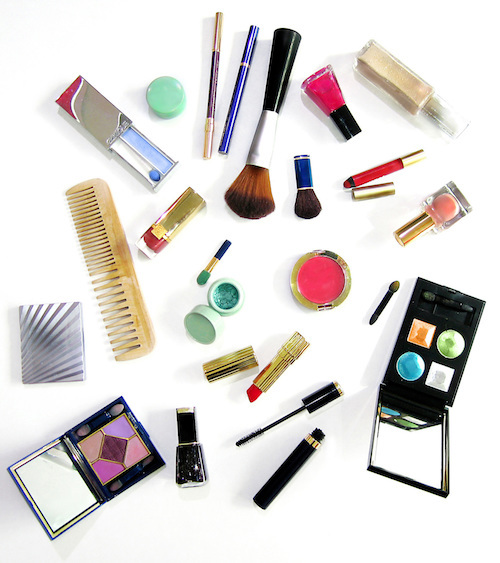 After sitting all night, makeup can be more stubborn to remove from deep within pores. Wash twice with a mild face wash that can emulsify makeup, like our Gentle Cleanser, to ensure all makeup is thoroughly cleansed. Allow your skin to have a few moments under a warm washcloth to work on your eye makeup, as day old mascara can tug out lashes! Because skin didn’t get to regulate itself well under the makeup, you may experience vastly different skin textures. One area may be oily, one may be desert-like and need exfoliating, and one may be too irritated to exfoliate. Simply use a gentle cleanser suitable for all skin types, and then moisturize to soothe your entire face. You may be tempted to layer on concealer, foundation and powder again to cover stressed skin, but try to resist for at least a few hours. If you can, let your face breathe and keep it free of makeup to help skin renew its balance. Savvy skincare shoppers know that certain types of alcohol can be drying to skin and hair. But, some alcohols in skincare are important and beneficial when used in the right way, and in the right amounts. Vegetable Cetyl Alcohol – derived from vegetable oil, this has the exact opposite of a drying effect – it locks moisture into the skin! Phenethyl alcohol – widely occurring in nature, this alcohol prevents bacterial growth. It helps keep the product from spoiling, and allows us to forego dangerous preservatives like parabens. Cetearyl Alcohol – this non-drying alcohol helps to emulsify the other ingredients and to keep the formula creamy and luxurious! Denatured alcohol, benzyl alcohol, ethanol or ethyl alcohol, SD alcohol, methanol, and isopropyl alcohol. These are okay in very small concentrations – the closer to the bottom of the ingredient list an item is, the smaller the concentration of that ingredient in the product. In larger quantities, they can dry your skin out. Keep checking your labels, armed with your new alcohol knowledge, and enjoy hydrated, beautiful skin! When we think of beautiful skin, we think of skin that is moisturized with a healthy glow. As we age, our skin naturally looses its ability to keep itself as hydrated as it did when we were younger. You may turn to face creams to help boost this moisture, but first, examine your cleanser. Why strip your skin of its natural oils with harsh soaps and then have to use all those heavy moisturizers? Vegetable Glycerin attracts water and hydrates. Naturally found in your skin, this helps to boost those supplies. Vegetable Cetyl Alcohol is derived from vegetable oil and locks moisture into the skin. Aloe Vera has been used for hundreds of years for its abilities as a moisturizer. 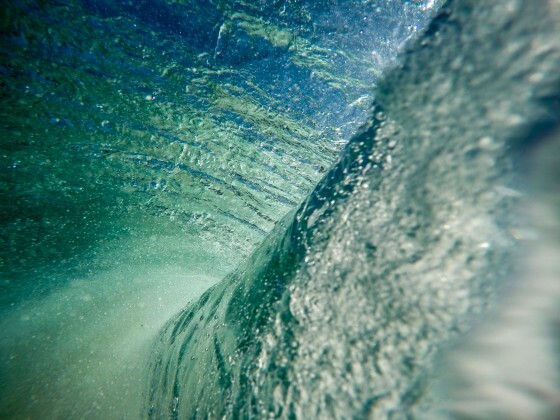 Hyaluronic Acid is naturally occurring in skin. It’s the glue that holds our skin together and gives it the smoothness of youth. It absorbs 1000 times its weight in water, so it takes water out of the air and puts it into your skin. Methylpropanediol is hydrating and this enhances the penetration of the other ingredients into your skin. Ceramides naturally occur on the skin surface to protect your skin against water loss. The Gentle Cleanser will add additional ceramides to your skin to keep your skin protected all day long. Cholesterol gets a bad name when there’s too much in our blood vessels. But it’s also naturally found on the surface of the skin, and it helps to create a barrier to keep in needed moisture. Gentle Cleanser will remove dirt, oil, toxins, impurities, environmental pollutants and all traces of makeup while enhancing your skin’s natural hydration and moisture balance. Copyright © 2016 Sea Radiance, Inc.